How faster is your website thanks to HTTP/2? We will run 2 speed tests, using a real Chrome browser. HTTP/2 protocol is disabled for the second speed test. Are you sure to use HTTP/2 at its best? Can your website be even faster ? 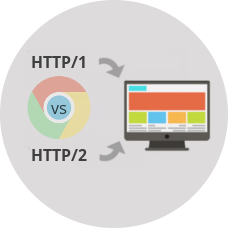 Our comparison report will show you the benefits of using HTTP/2 at a glance! Not fast enough? Check our front-end performance optimization tips. Overall Dareboost has been an extremely resourceful and enlightening tool for us, especially given the scale that we operate at. Highly recommend it to everyone. Why should you audit HTTP/2 and HTTP/1.1 performance? 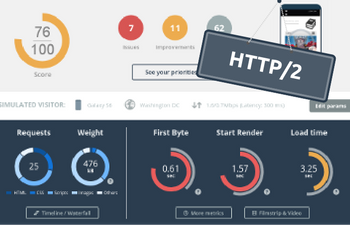 Website speed optimization tips are evolving with the new HTTP/2 protocol. So some HTTP/1 (concatenate files, CSS sprites, etc) best practices HTTP/1.1 are outdated and can lead to performance degradation on HTTP/2. 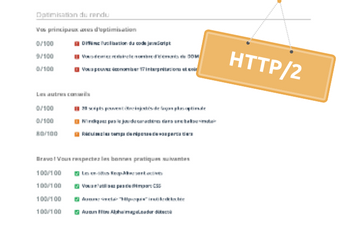 Dareboost provides you the tips you need depending on the technologie used on your website. Website speed tests delivered by Dareboost are fully compatible with the latest technologies, including HTTP/2. We measure the speed of your site with a real web browser: Chrome. Want to go further with Dareboost? 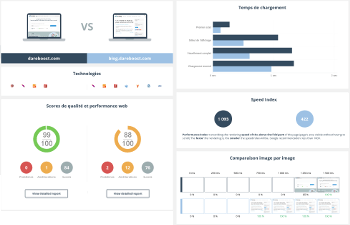 Discover our speed monitoring features for your website.